NATNOTE: This comic-strip was inspired by a real-life occurrence. 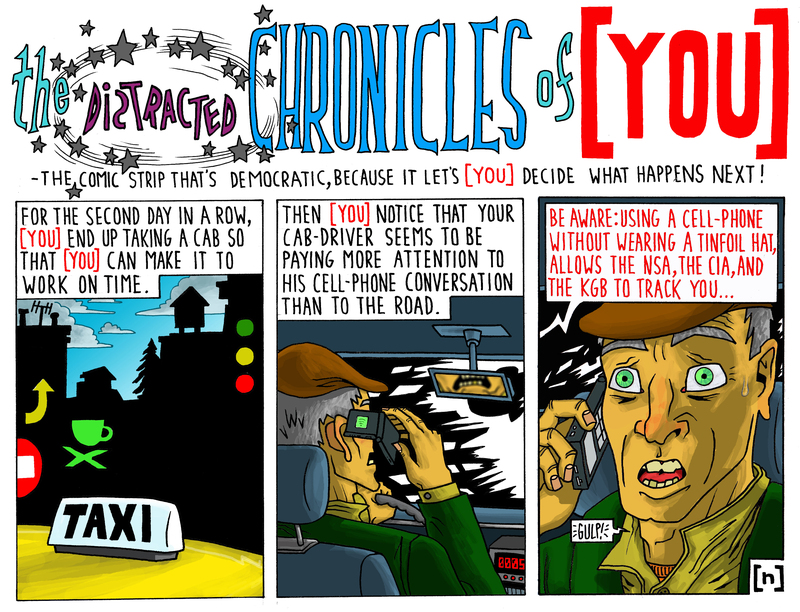 This entry was posted in CARICATURE, CATEGORIZED, COMIC STRIP, POLL, TEXTUALS WITH VISUALS and tagged cell-phone, cell-phone tracking, CIA, COMICstrip, democraticCOMIC, KGB, late morning, new elected panel, NSA, open-ended, poll, taxi, tinfoil hat, vote, webcomic, YOU-CHOOSE!, [ YOU ]. Bookmark the permalink. Ha shoot missed the poll :( Curious too see the result !! !